A traditional “mazot” is a small dwelling with no windows, but Chalet Mazot is far from that! This large 9 bedroom chalet in the idyllic old quarters of Zermatt really stands out from the crowd. With a Swiss cottage wood finish for that authentic look and feel inside and out, this chalet offers multiple balconies and excellent views of the Matterhorn and the famous town of Zermatt from its riverside location. Most rooms have private or en suite facilities and a tv, as well as lots of space for the utmost comfort. The spacious dining room offers more views of the bustling streets and serves as the central communal hub for the chalet. 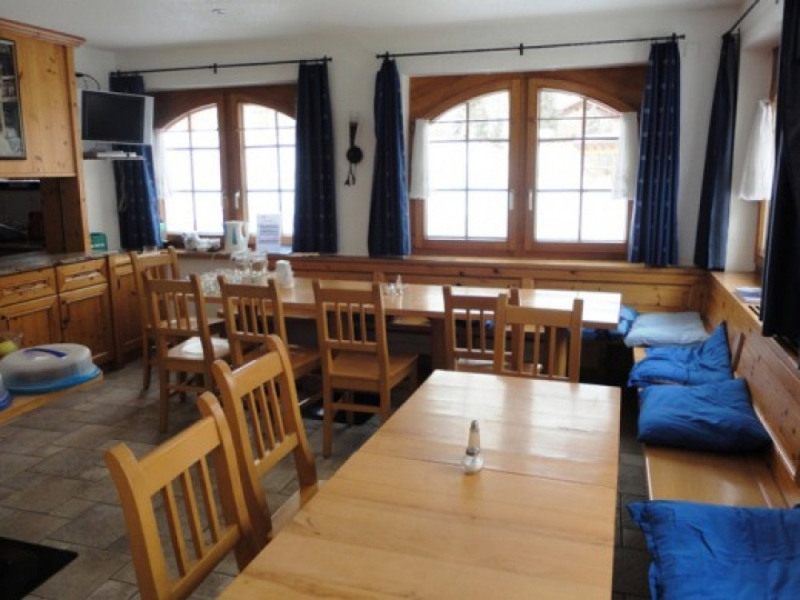 Of course, Chalet Mazot has an attached ski room with heated boot racks for convenience. Waking up to the idyllic sound of the River Visp, you realise that Chalet Mazot has an excellent central location in Zermatt. Ideal for skiers and snowboarders, all three of the resort’s ski areas can be reached within minutes. 350 metres from the front door is the Sunnegga lift, or a 500 metre stroll will get you to the Gornergrat lift station. Finally, you can hop on a bus from outside the front door to quickly access the Matterhorn Glacier Paradise Gondola. Once you’ve dropped off your skis at the chalet at the end of the day, you’re literally a stone’s throw (250 metres) from the historic main street and the best après Zermatt has to offer. 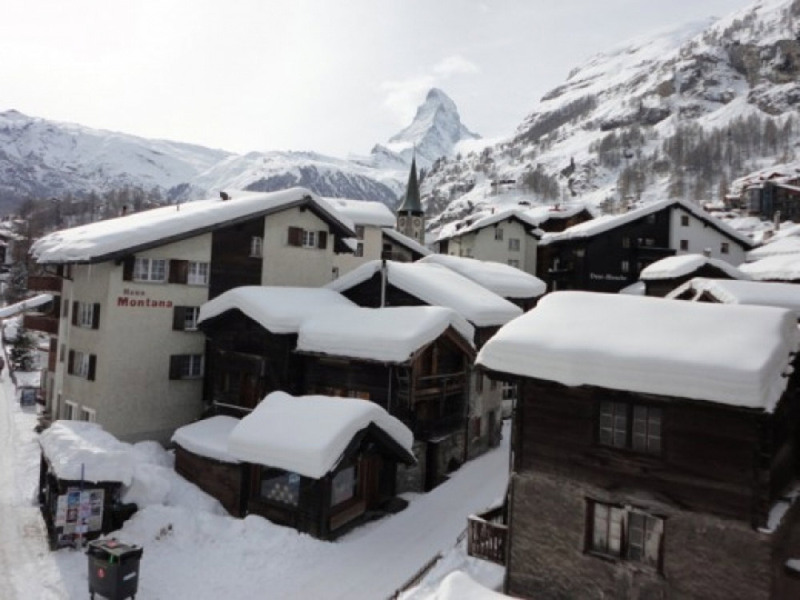 The chalet can be booked on an accommodation only basis if you would prefer to make your own way to Zermatt. Please enquire for further information.